Five winners will be selected during the Smart Cities Week conference April 15-17 in San Diego. Those cities will become part of the year-long Readiness Program to scale up smart city visions into reality. Digital services. Collaboration around climate action plans. Intelligent approaches to transportation and transit. These are some of the challenges a number of municipalities are taking on as they explore smart city projects. That’s part of the takeaway from the proposals submitted by more than 100 jurisdictions from the United States, Canada and Mexico to the 2019 Smart Cities Readiness Challenge. Ten of those proposals have made it to the list of finalists, which will be winnowed to five winners, to be announced during the Smart Cities Week conference April 15-17 in San Diego. Those cities will become part of the year-long Readiness Program to scale up smart city visions into reality. “Digital services has emerged as the top focus area for our applicants,” said Kevin Ebi, director of the North American Readiness Program with the Smart Cities Council. “Sixty percent of applicants specified digital services as a priority area and more than two-thirds of them either have projects that are approved or underway. “Public safety and mobility remain top focus areas. Economic development is becoming more common as a priority area,” he added. Cleantech San Diego, selected as one of the 10 finalists, serves as a smart city projects coordinator for more than a dozen cities and public agencies in the San Diego metro region. 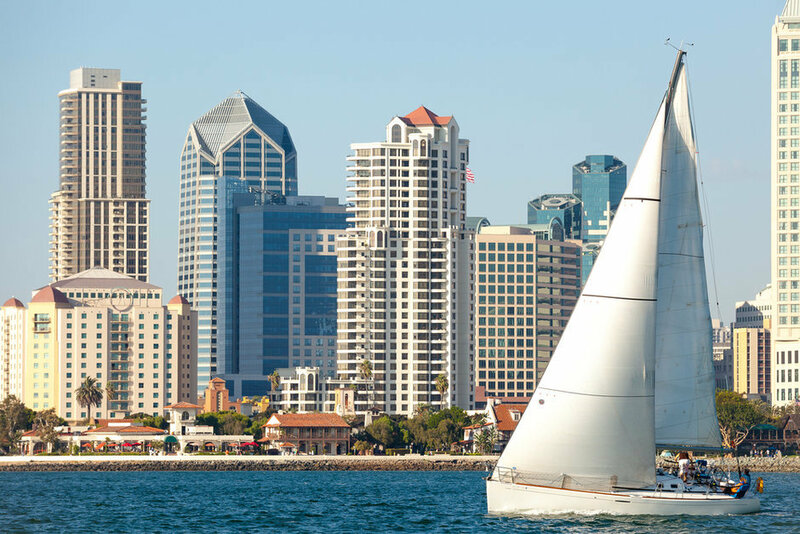 “As we started to dig into individual cities, we shortly realized that some of these issues — especially as they relate to smart cities — aren’t necessarily just city issues, but multiple jurisdictional issues,” said Jason Anderson, president and CEO of Cleantech San Diego, a member-based organization focused on growing technology and innovation in the San Diego region. “We want to provide other cities with access to thought leaders who are in this space, but also give them the tools for them to start thinking about how they can integrate smart cities technologies into their overall operations,” said Anderson. One place to begin a regional smart city project could be in the climate action plans that a number of communities have already adopted. Pooling resources and seeking collaboration is a common approach a number of communities have chosen to take when it comes to smart city strategies, and it’s evident in some of the proposals coming forward, according to Ebi. In addition to Cleantech San Diego, the 10 finalists include Baltimore; Dallas; Edmonton, Alberta; Jersey City, N.J.; Montgomery, Ala.; Palm Coast, Fla.; Racine, Wis.; the North Florida Smart Region Coalition, a collaboration spread across four counties; the U.S./Mexico Smart Towns Consortium, which includes cities in Arizona, New Mexico, Texas and the Mexican state of Chihuahua. “While only three [projects] were required, some entities shared plans for 15 projects, which demonstrates one of the trends we noticed: we’ve seen dramatic growth in the maturity of cities over the past three years," said Ebi.